Counterfeiting and forgeries are on the rise in the U.S. and abroad, making fraud a worldwide growth industry. Estimated financial losses due to check fraud in the U.S. are over $25 billion each year. Using safety features to protect your documents may significantly reduce your liability for a loss in the event of fraud. Fortunately, these same features will effectively deter criminals from attempting to alter the document in the first place. 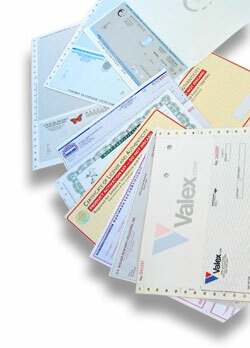 If a check is difficult to alter, criminals will look elsewhere for easier prey. Event admission tickets and trade show attendee badges: Security measures are tight at events such as large trade shows, concerts, and prestigious invitation-only affairs. You need to verify badges, tickets, or invitations quickly and accurately. One simple verification technology is handheld UV lights, providing clear, instant verification. It’s easy to add “black” lights to the entrance of a trade show, concert arena, or nightclub, making fluorescent inks a popular feature on secure documents. To many crooks, jewelry stores seem like ideal targets. In just a few minutes, they can make off with thousands of dollars in gold, silver, diamonds and gems. But thieves recently saw one jewelry store chain’s checks as their key to riches. While the jewelry store chain protects its 1,300 stores with security cameras, alarm systems, vaults and more, its payroll and accounts payable checks had only one outdated security feature, a “void” pantograph. Consequently, they soon paid the price when a disgruntled employee altered a paycheck and stole $11,000 from the company. Around the same time, an employee at one of the chain’s ven-dors altered one of the company’s accounts payable checks and stole $28,000. After discovering the fraud, the jewelry store chain immediately contacted its bank to recoup its losses. But the bank refused to accept responsibility. Since the revision of the Uniform Commercial Code in 1998, companies that don’t show “ordinary care” by taking steps to prevent fraud can be held liable for fraudulent checks. Ordinary care includes the use of security features such as chemical-reactive paper, microprinting, watermarks and border copy warnings, as well as proper storage of checks and other negotiable documents. Because the bank required at least four security features on its customers’ checks, it said the jewelry store chain didn’t show “ordinary care” and was liable for its losses. Warning Band: The warning is printed on face of document to draw attention to security features. All security features should be used in conjunction with proper warning messages. Warning messages alert check handlers, processors and potential forgers that specific security features are present. Artificial Watermark on Back: The watermark is visible at a 45 degree angle and is difficult to impossible to scan or copy. The words “Check-Protect” appear omni-directional on the back and are visible under UV light. Black & Blue Dye: These dyes are sensitive to alteration by a wide range of ink eradication solvents. Attempts to alter a document containing the dye are clearly detectable. Fluorescent Fibers (Invisible): These green fibers are only visible only under UV light and cannot be scanned or reproduced on color copier or printer. Multi-Language Brown Stain VOID: A brown colored “VOID” appears in six languages (English, Spanish, French, German, Japanese, and Chinese), signaling contact of a bleach or chlorine-based ink eradicator on document. It provides immediate notification that document is non-negotiable. Tampersafe® Lenticular Hologram: An optical variable hologram with the letters V & R engraved as a latent image. Tip to light to verify. CodesafeTM Unique Molecular Code: A synthetic “DNA” molecular code provides absolute verification of certificate. The code’s presence can be identified with a complementary fluid or UV black light. A spectroanalysis evaluation will give exact molecular identification. Toner GripTM A supplemental feature developed to thwart attempts by forgers to alter laser printed documents. 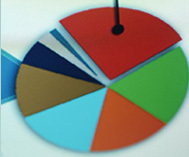 A unique surface treatment yields greater adhesion of toner on surface of document. Any alteration attempts (usually by cellophane tape) become clearly detectable. Foil Stamping: A hot stamped decorative feature that is difficult to reproduce (copied or scanned image will appear mostly black due to reflection effect). The foil is available in solid colors or in rainbow. DocuCheck True Watermark Security Paper: DocuCheck’s custom watermark is pressed into the paper while it is still wet, producing a clear, highly defined image that resists photocopying and scanning. In regular light, the watermark is visible from both sides of the sheet. In addition, tight security in all stages of production — from manufacturing, to warehousing, to distribution — ensures Docucheck Watermark is only available to legitimate check printers. DocuCheck is available in both 26# carbonless and 24# bond. The carbonless has an endorsable CB coating that prevents pens from skipping when endorsing checks. Counterfeiting and fraud crimes exceed the combined totals of burglary and drug related crimes in the U.S.
Fraud and counterfeiting is at an all time high throughout the world. The FBI does not investigate bank fraud unless it exceeds $100,000. The advent and enhanced development of desktop publishing and optical reproduction technologies has made it relatively easy for the professional criminal and amateur alike to have ready access to the tools necessary to re-create a negotiable document. Chemical washes: common household chemicals remove selected information, then new names or amounts are added. Scan into PC: names or amounts are manipulated, then duplicates are laser printed. High quality color copies: they can “mint” as many as they want. Toner lift-off with adhesive tape: selected information is removed, then new information is laser printed on.